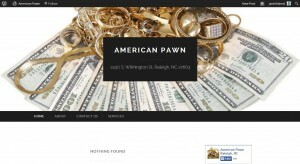 American Pawn address, phone, website, hours of operation, and more. We are American Pawn, family owned and operated for 20+ years, we pride ourselves in our fine costumer service and building lasting relationships with our costumers. We understand the struggles people are enduring throughout these hard economic times and we want to make sure we accommodate your every need when it comes to helping your financial situation.